Anna Smith and Emma Mankelow are the head Coaches at RLJ Coaches. Both qualified Leaders in Running Fitness affiliated to UK Athletics. I still love all different types of running and will continue to run as long as my body allows, hopefully for a long time to come. It provides a great sense of satisfaction, empowerment and freedom. I also love running with others and chatting about every topic under the sun. I have been running for 20 years. I’m not a competitive runner and wasn’t that kid at school that excelled in sports so finding a love for running was a very welcome surprise. I qualified with UK Athletics in 2012 as a Run England Run Leader in Running and Fitness and juggle my coaching with being a mum to my 2 sons. It was 2012 - my husband was away working on the Olympics and our daughter had just started in reception. Time for me - so I decided to start running! I've always been keen on keeping fit and used to play lots of netball. I still have withdrawal symptoms, but I needed to find a way of exercising that would fit into a busy schedule. Running is flexible like that. I was definitely that person who would exclaim “Who me? No, I'm not a runner!” but once I discovered running it was a revelation. It makes you feel alive, and the euphoria after a run is the key. 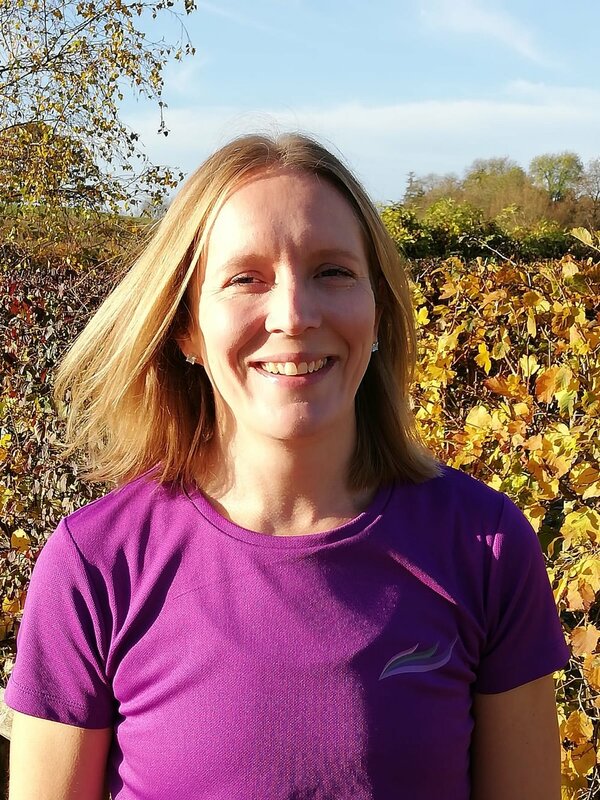 I really needed some running buddies to keep me motivated, so I joined Reigate Ladies Joggers and very quickly Anna and I cooked up a plan to join forces. My love of sport and my marketing background has been a great fit and our partnership has enabled RLJ to grow and grow. We are so pleased that the club is still going from strength to strength, adding different options, new courses and providing something for all abilities. We’ve even set up a section for men & juniors as well as rolling out the RLJ ethos to Caterham and Horsham with fantastic base managers. I can’t imagine not doing what we do now - it’s just wonderful. Being outdoors doing any kind of exercise is so good for both physical and mental health. We have such gorgeous countryside around us - it’s wonderful to go and explore and drink in the scenery. I love to come back after a run with a few good snaps and smile on my face! It’s so rewarding seeing people achieve things they never thought possible, forge lasting friendships and enjoy support and encouragement in a totally non-judgemental and non-competitive environment. We have such an incredible team of coaches around us, these fabulous ladies and our brilliant RLJ members make RLJ what it is today. I run RLJ in addition to my other businesses (a local marketing company and a care home), as well as being a mum. It's lovely to meet new people, have fun, and get fit whilst we're at it.